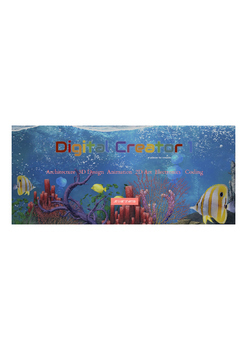 DigitalCreator1 is a place to create. The website gives kids access to creative tools and facilitates their creativity and confidence. ​If you like, jump in and get started. Select the website link at the top of the page and you will begin to explore and use your creative skills. The structure of the website is designed to be self-guided. No downloads, no software to install and no additional time needed for preparation. Internet access is all that is needed to give you full access to each creative tool. Each creative tool has six steps to complete. The steps start with an inspiring career video and are followed with a tutorial detailing how to access the creative tool website and then last steps show how to create amazing projects. Here are a couple ways to use the website: extension to lesson plans, starters and resources for integrated projects and much more.